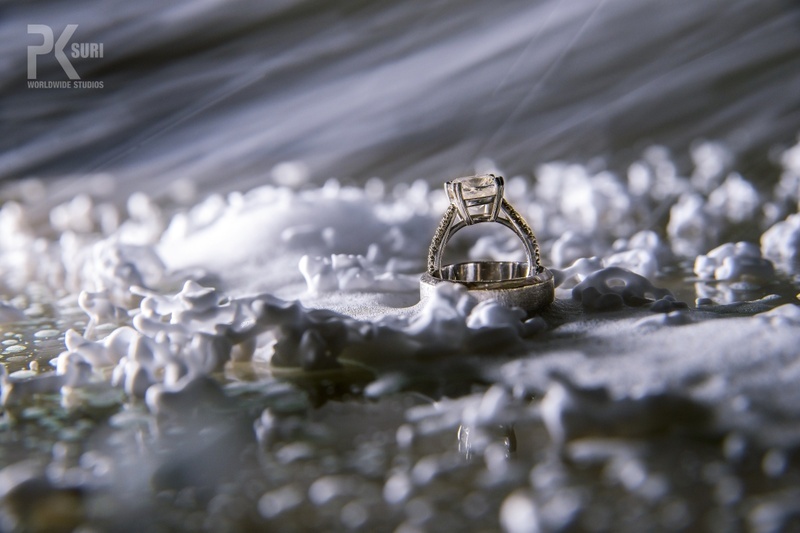 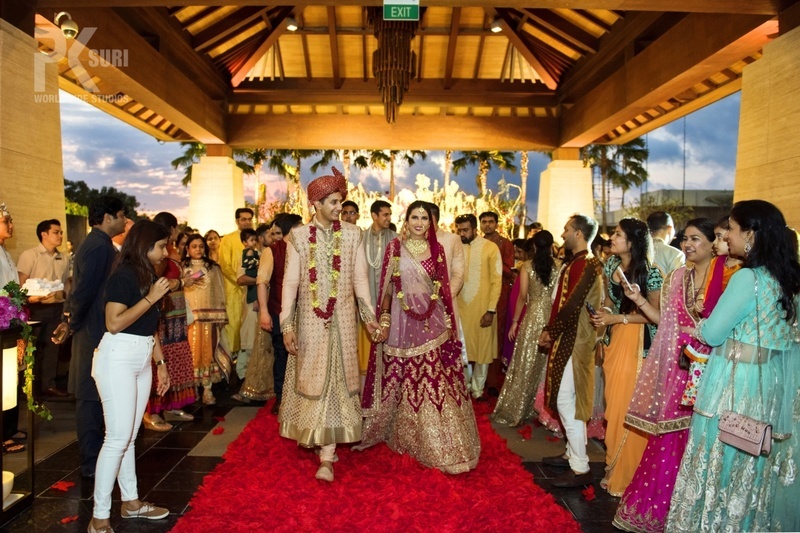 Picturesque location, & a beautiful couple are what made this Bali wedding one of a kind! 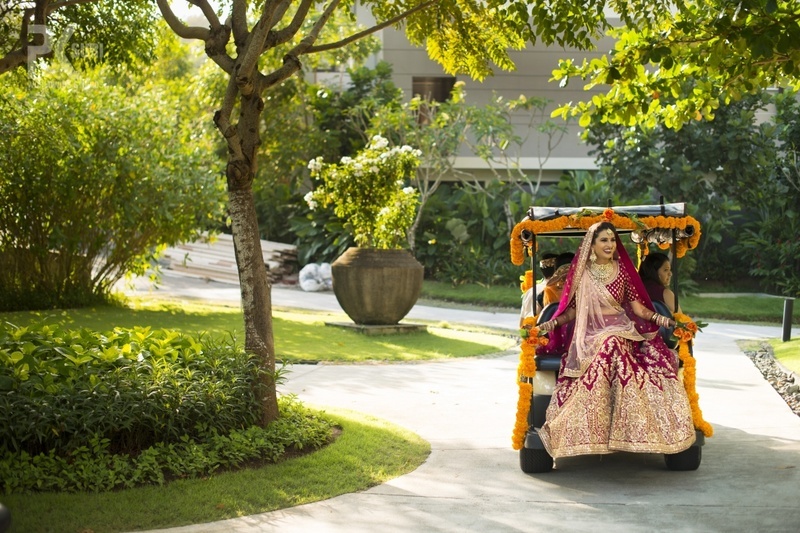 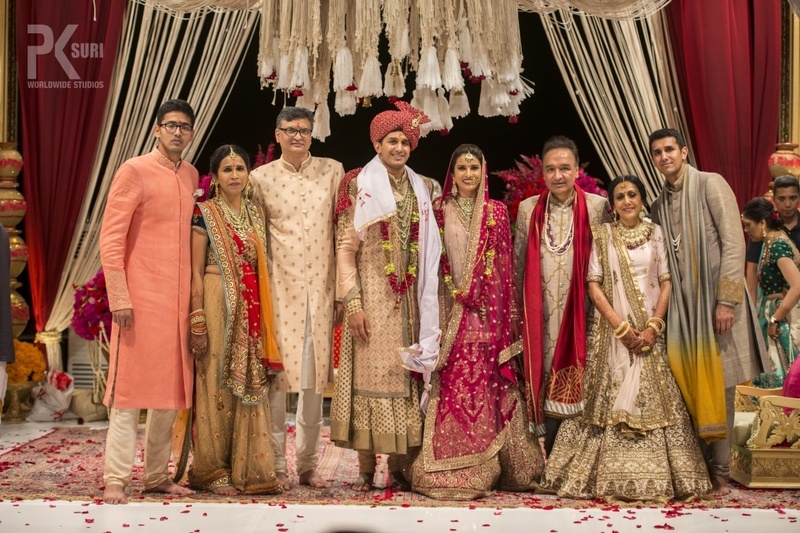 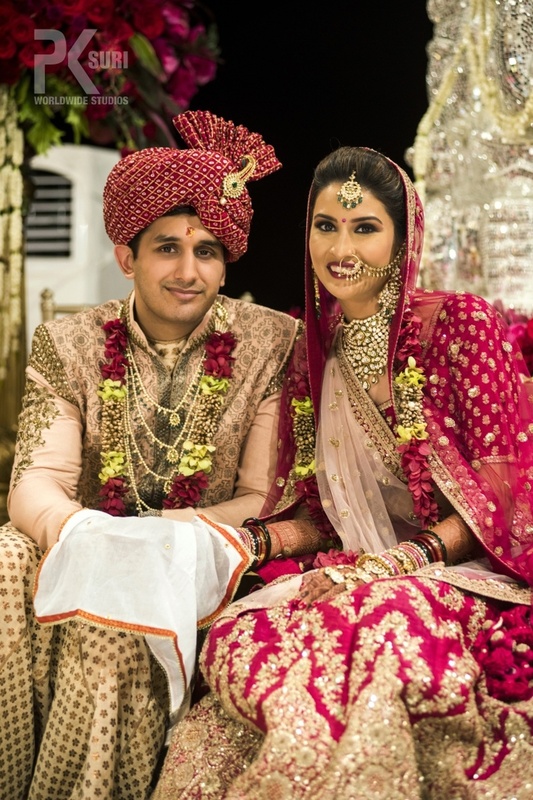 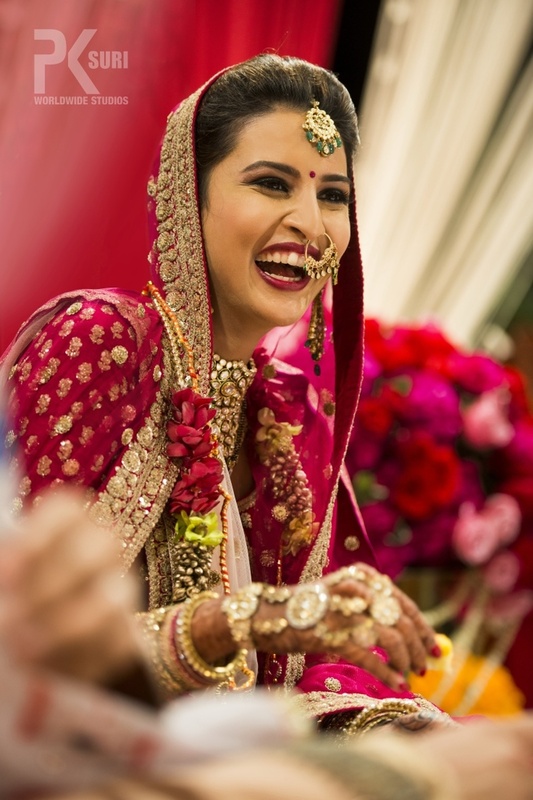 Shikha and Sagar recently got hitched in a serene ceremony at Bali. 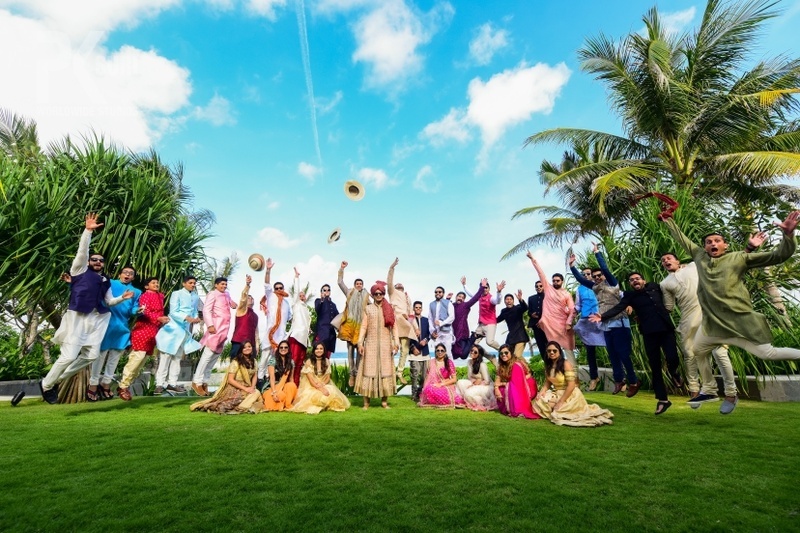 Their wedding was full of picturesque location, enthusiastic family members, bright colours and of course, the beautiful couple themself! 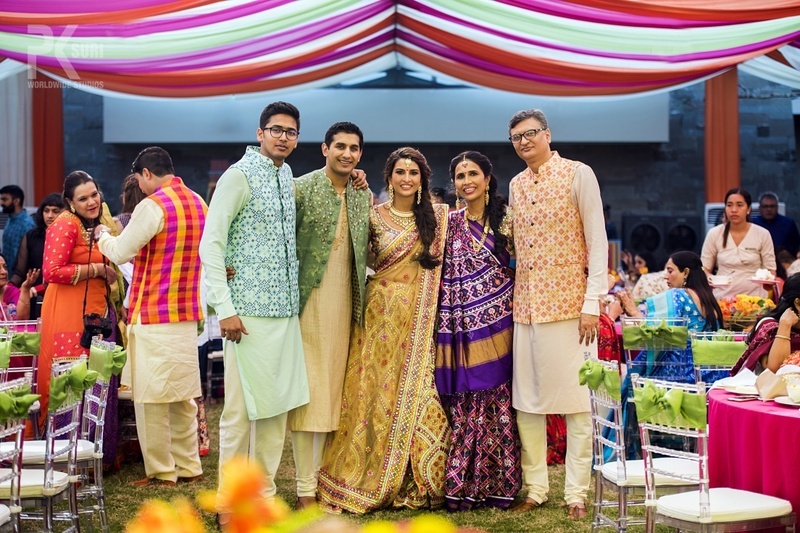 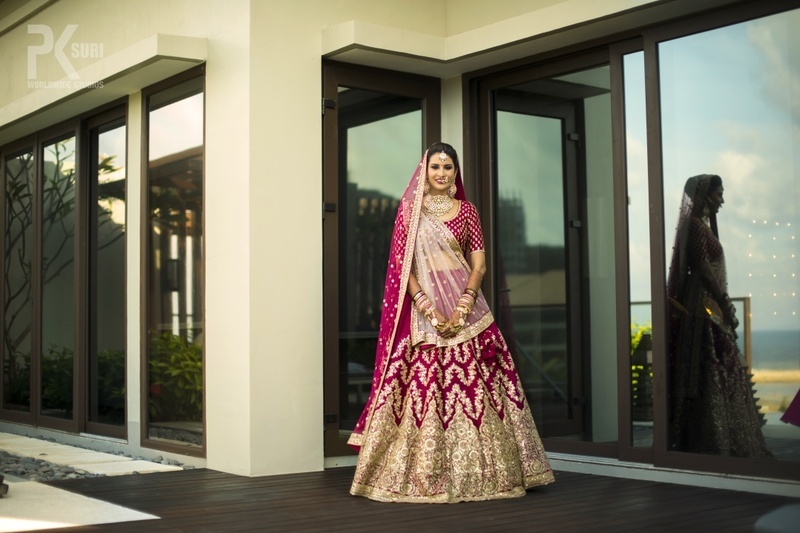 We love every outfit that Shikha chose for herself. 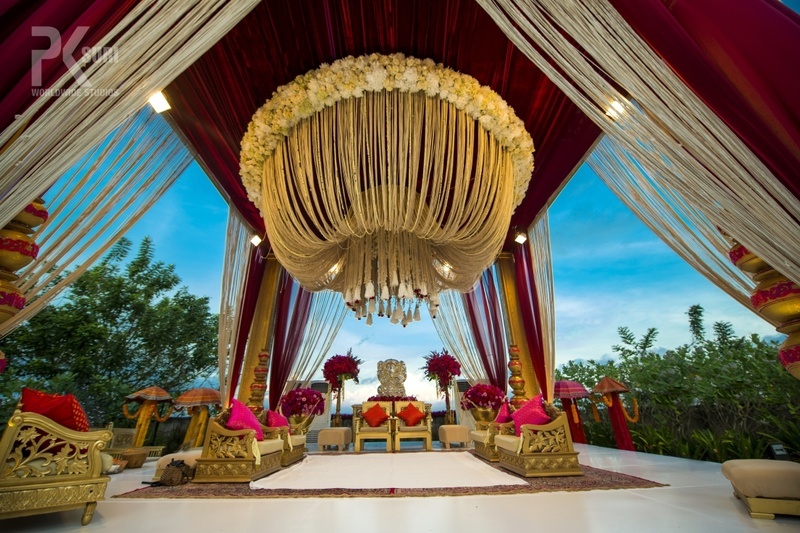 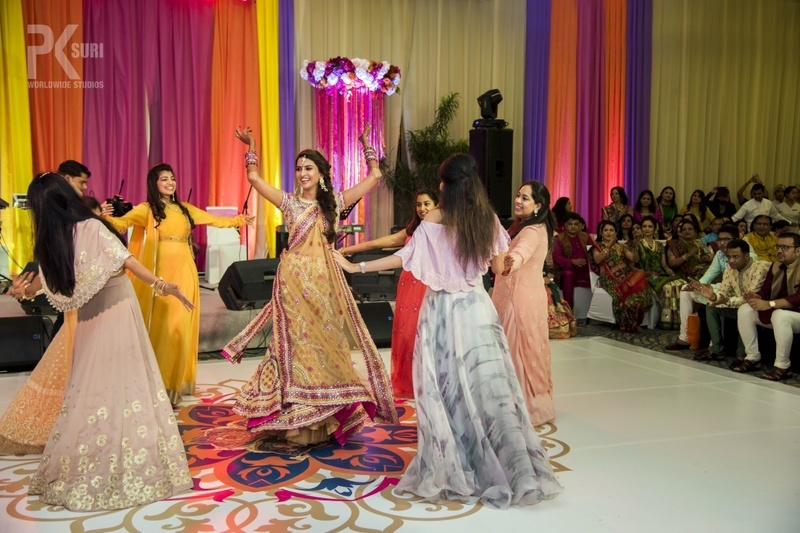 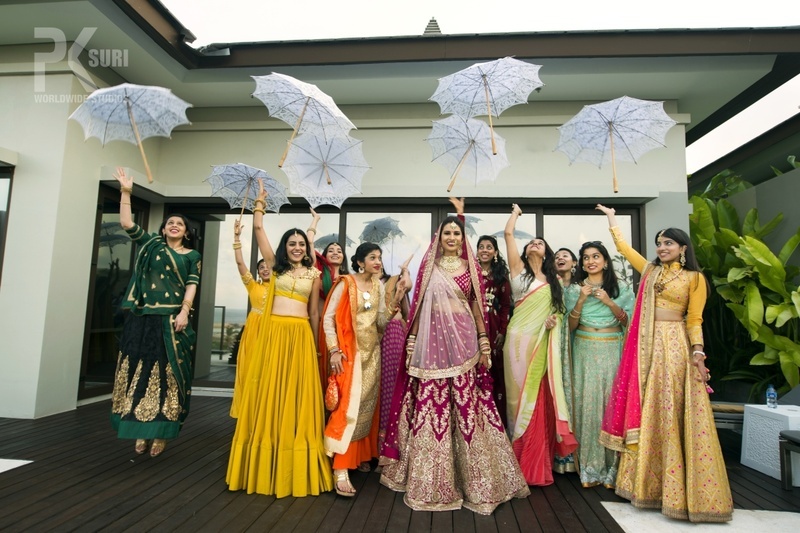 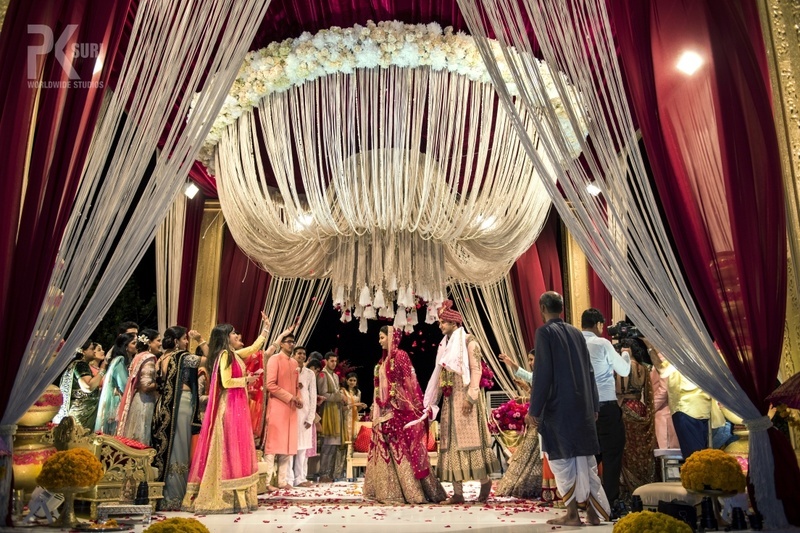 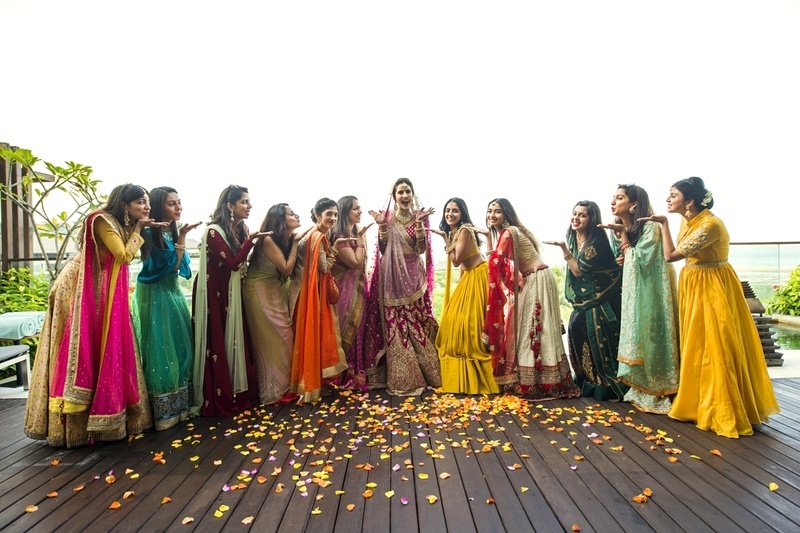 The elegant mandap goes perfectly in sync with the royal wedding! 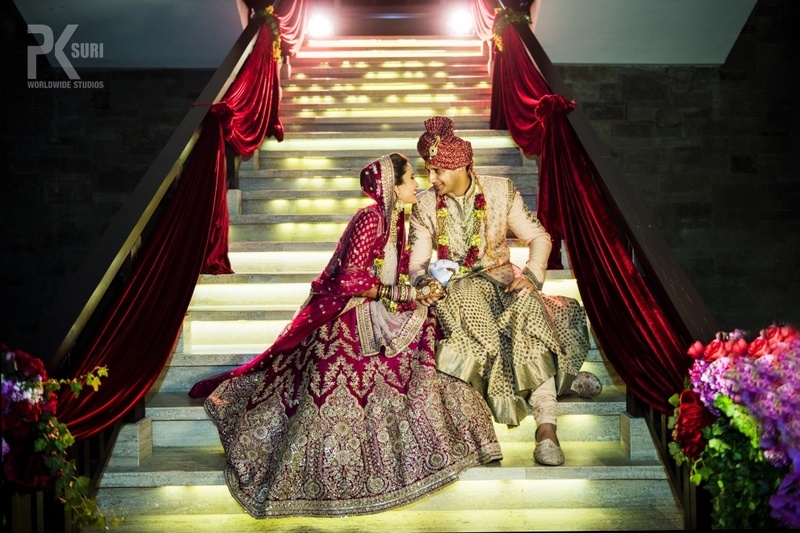 I had seen PK Suri’s work a couple times before I even got engaged . 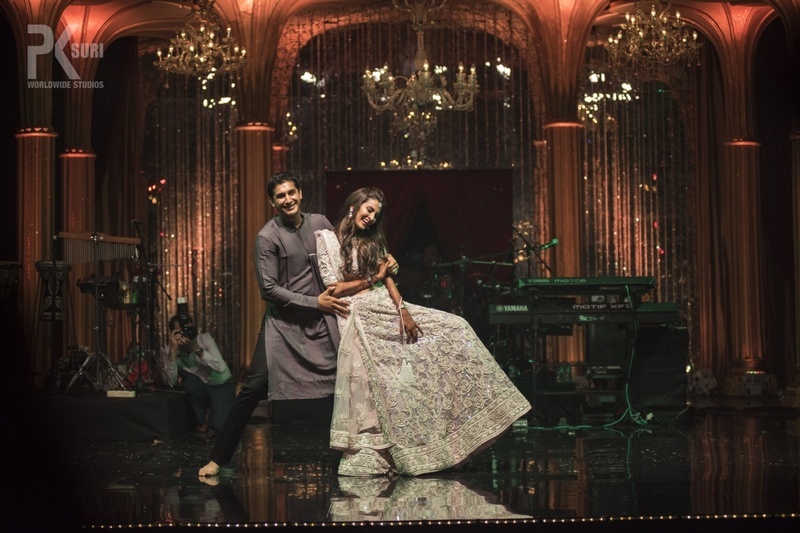 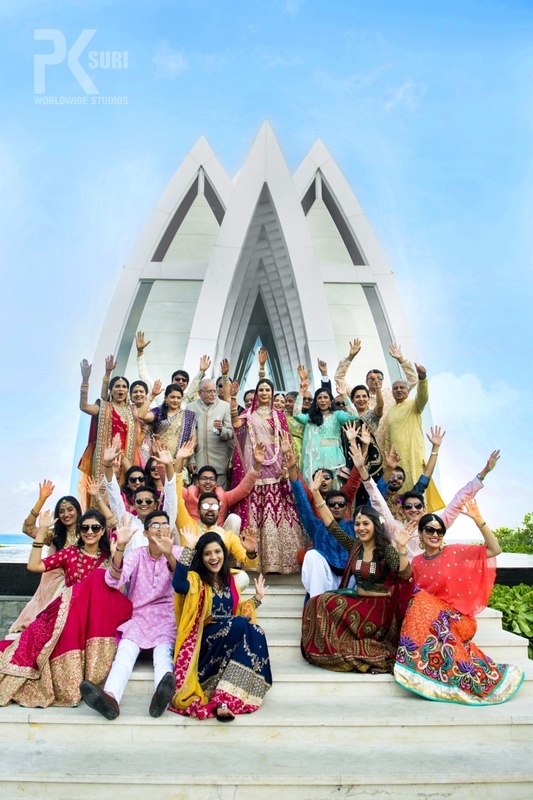 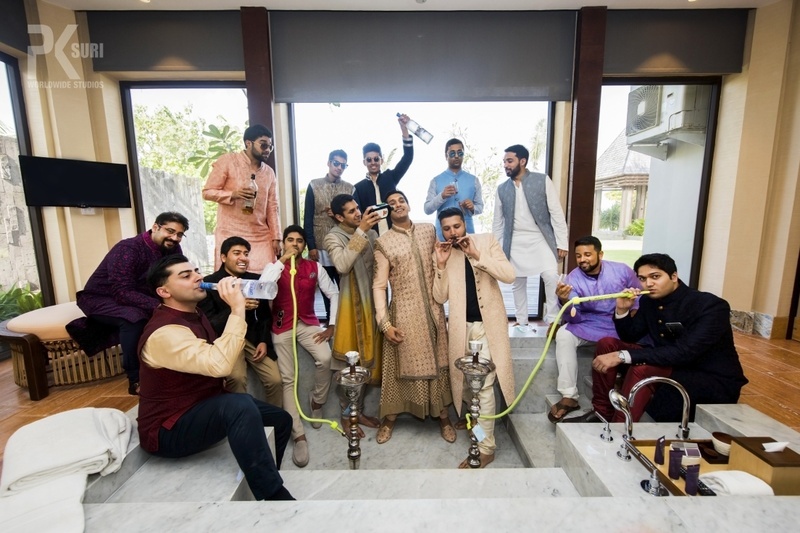 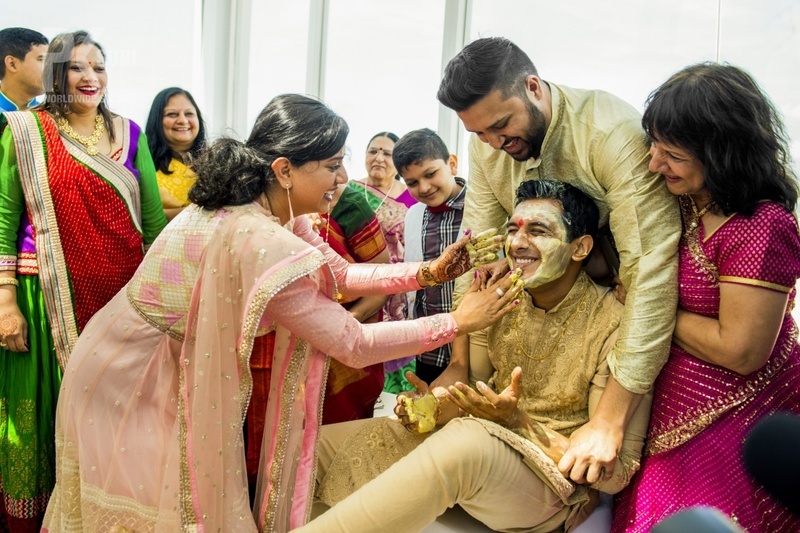 I knew the day I got engaged that I wanted PK Suri and company to cover my wedding . 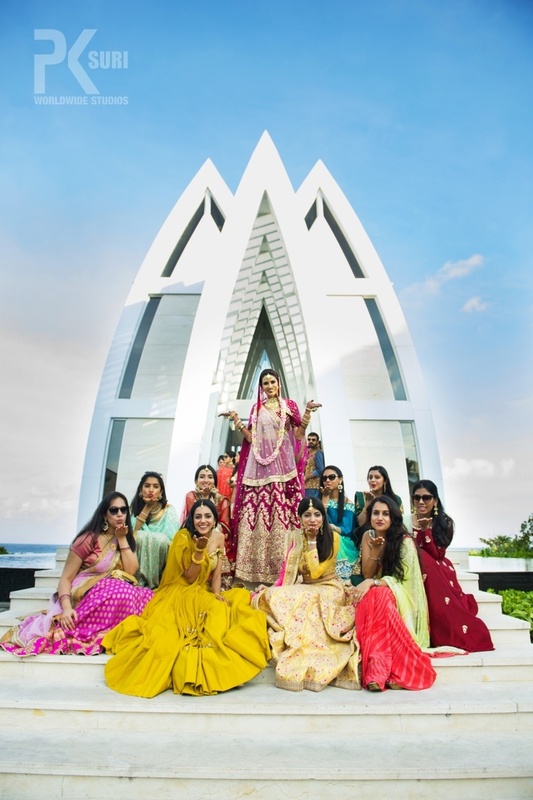 We had a destination wedding and the team did not leave a single stone unturned to cover every part of the resort , wake us up at 5 am to make sure we get a sunrise shot and make Sagar laugh amongst the whole process ( yes like most men my husband hates photographs ). 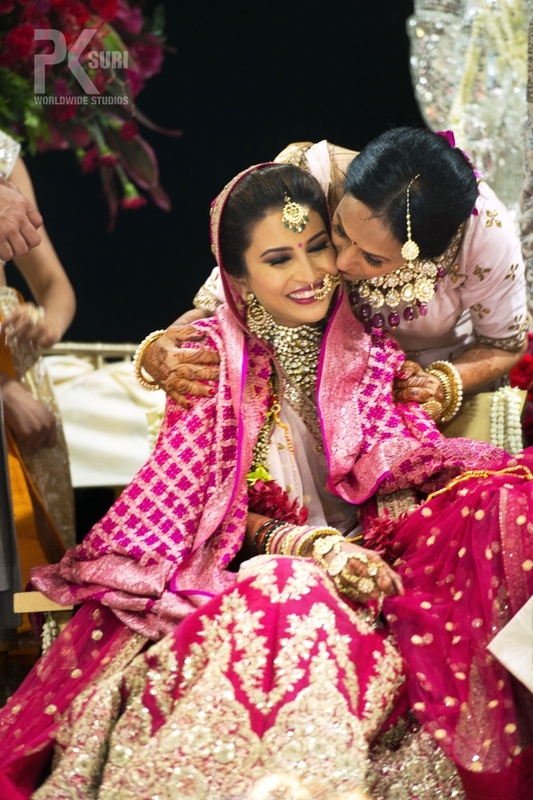 It was extremely easy to work with , speak to and eventually be so happy with the final photos and the wedding film that the team has made. 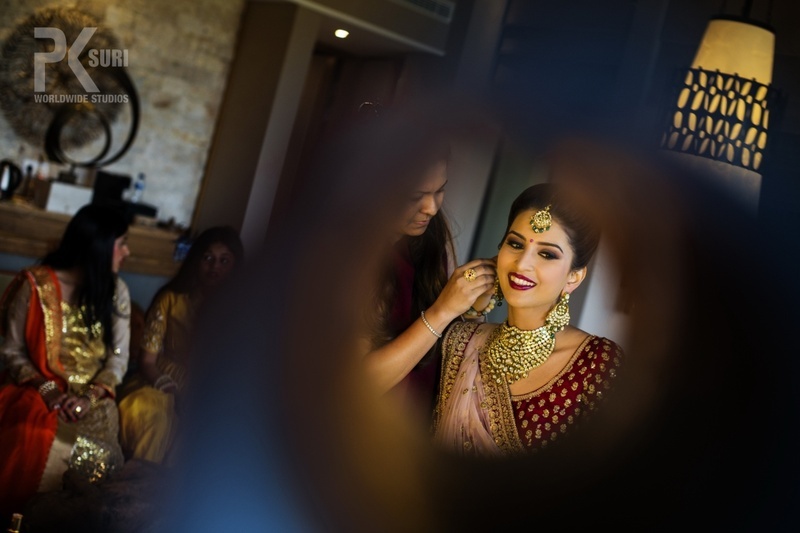 The bride getting ready for her D-day.